The opportunity to meet with your fellow Prophets – many of whom are professional, business, and civic leaders – and to make lasting friendships. The right to associate yourself with other Grottoes – one of which is near your home. To participate in such social affairs as theatre parties, dinner dances, nights at the races, sweetheart dances, and local functions. 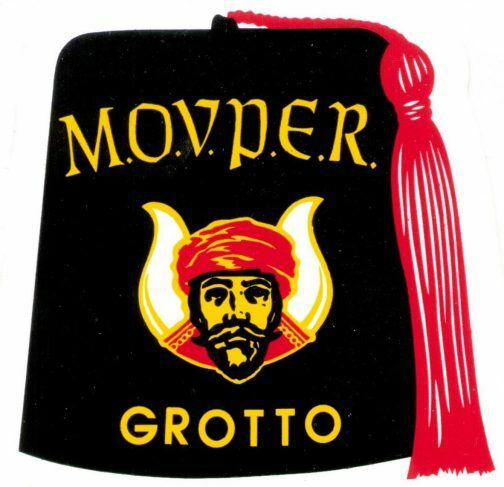 The right to wear the Grotto Fez and Grotto Pin, identifying yourself as a member of the Mystic Order of Veiled Prophets of the Enchanted Realm – also known as the Grottoes of North America – the greatest fraternal order a Master Mason can join. The Grotto gives you the privilege of joining many units – clowns, bands, pipe bands, horse units, marching units, cast, string bands, motor patrol, drum corps, and choral groups.